Very sweet set up there. Source: Heavily modified DDDAC using MacBook Pro. 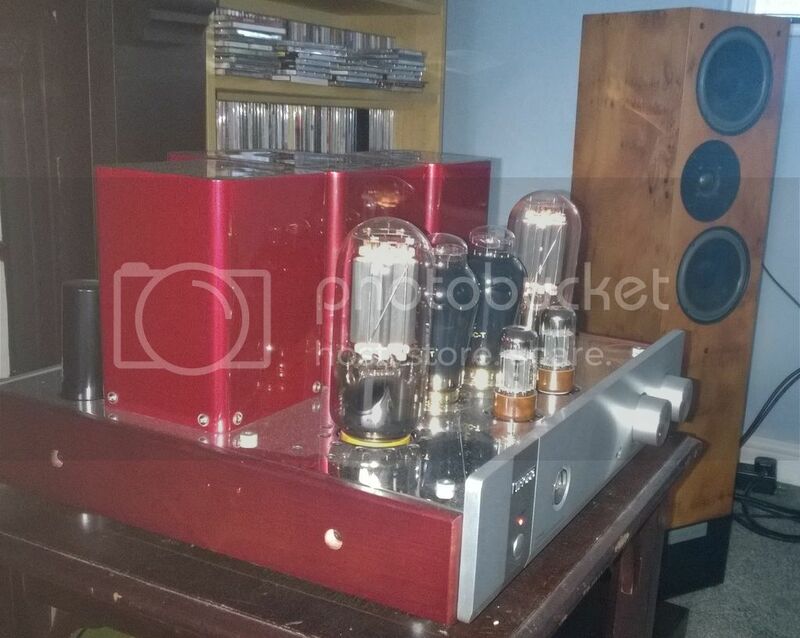 Amplification: Pre amp-Stereo Coffee pre amp on steroids. Accessories: Klotz 500 DIY Interconnects & DIY speaker cable sounding better than anything commercial. All powered from a Mother Trucker BPS with a dedicated consumer unit with 10mm armoured radial back to the house tails after the meter. Lovely finish on those speakers. Ooo - a Meitner DAC - nice, you very rarely see those. Said to be very special. Impressive and interesting amp, too. LVs are a Marmite thing. What source(s) do you use? I've only had the Meitner for a couple of weeks and I'm really liking it. If I get a room, I'll be using it at Scalford. I'm currently using a Cyrus CDT but I also have a Perreaux CDt and Bel Canto CD3t but they are a bit temperamental. I've got a NAS and am going to get a streamer in the next few weeks. If there is a pre-amp in on the amp, try your Ayre into it, you might be surprised by what you hear. 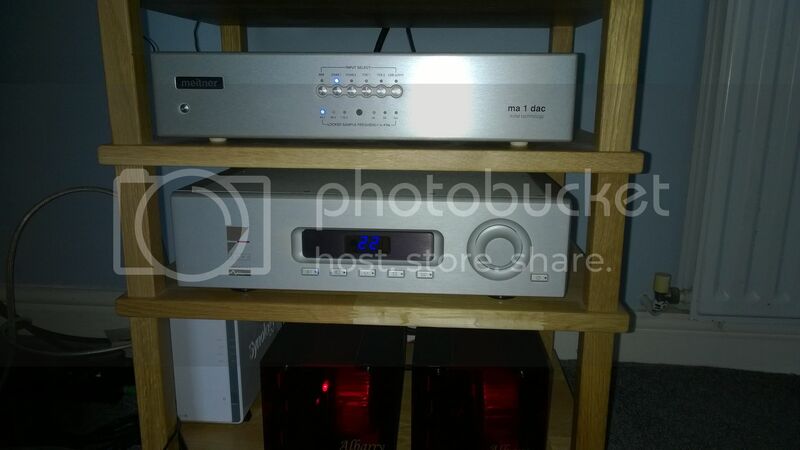 Lovely looking system Ian, I'll bet it sounds great, you may not be aware but, there is a Series 2 upgrade available on your M608's, I think it's about £200, well worth it IMHO, unless of course you've already had it done, that valve amp looks a beast. Tables MusicWorks ReVo acrylic stand, Quadraspire Acrylic shelves (cryo'd legs) acrylic Response Mini under mains block. I knew there was a S2 upgrade for the M1108 but I didn't know that there was one for the M608; I shall investigate. The Triode weighs in a over 40Kg. Sounds lovely though.